It’s been a whirlwind of a year for the championship Minnesota Lynx team. And things are about to get a whole lot crazier. With key members of the team returning again, the Lynx have also added a lot of new players. In the 2012 draft they had six draft choices, including the number three pick and five in the top twenty. The number three choice was Devereaux Peters, a six foot two power forward from Notre Dame. Peters was shocked and excited to be chosen by the Lynx. In most mock drafts she wasn’t in the top five prospects lists. However, Peters has had an impressive career with Notre Dame averaging 10.2 points and 7.3 rebounds. She was also impressive with her career averages in assists, blocks, and steals. The team is looking for her to learn from the 41 year old Taj McWilliams-Franklin. Taj has said that she is getting old and might need replacing soon. Peters has other impressive stats including being a two-time Big East defensive player of the year, All-Big East first team member, and the only player in the Big East this season to rank in the top ten in the conference in three major defensive categories: first in rebounding, third in blocked shots, and ninth in steals. This past year Peters helped her team reach the NCAA Championship game two years in a row. She is thrilled to be here. The Lynx were looking for someone in the draft that they could choose that was not only a good player but also a selfless player. The Lynx already have an amazing roster so they wanted someone who could come in and know their role on the team wasn’t going to be the star like they were in college. And the Lynx feel that Peters is the perfect fit for this with her already selfless play at Notre Dame. She is already good, but this is where the learning from Taj will come into play. There are five other players that the Lynx have selected from this year’s draft. They had the pick numbers 12, 18, 19, 20, and 31. Five out of six of their draft picks this year were acquired by trades. With the number 12 pick the Lynx chose Damiris Dantas out of Spain. With the number 18 pick the Lynx chose Julie Wojta out of Green Bay. 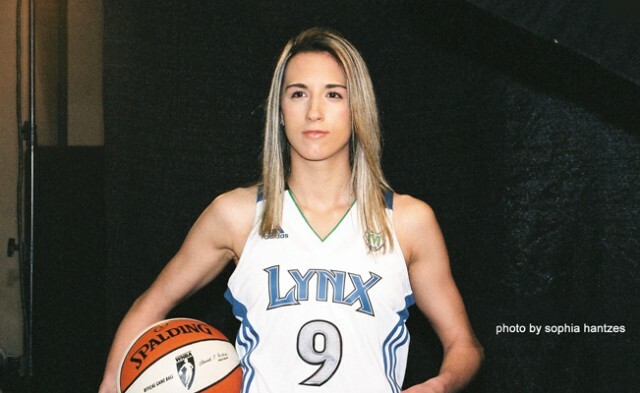 With 19 the Lynx took Kayla Standish from Gonzaga. With the 20th pick we took Nika Baric out of Russia. And rounding out the Lynx draft choices was the 31st pick Jacki Gemelos out of USC. The only problem with so many picks is that the Lynx are bringing back almost their whole roster from last season. The Lynx have only one open spot, so there will be some competition during camp. Three of the new players will be deferred so that they can hopefully develop and join the team in future seasons. These picks are Dantas, Baric, and Gemelos; the first two because they are international and the third because of a knee injury. The Lynx have talked about a possible arrival after the 2016 Olympics. This seems far but the girls are only 19 now so they will still be active and youthful then. These other five draft picks also have pretty impressive stats throughout their basketball careers thus far. Dantas was the 2011 MVP of the FIBA u19 World Championships in Chile. This was an effort that led Brazil to third place. This past season she has averaged 13.1 points and 7 rebounds with the Spanish Liga Femenina de Balconesto. Wojta was pretty impressive last season leading her league with 19.5 points and 3.8 steals. She lead the team to its first sweet sixteen appearance ever, eventually losing to the championship Baylor team. Standish led the Gonzaga Bulldogs last season with 16.4 points, 7.5 rebounds, and 1.5 blocks per game last season. She ended up on the All-West Coast Conference First Team for two consecutive seasons. Baric has been playing overseas with Lynx Seimone Augustus on a team in Russia. She has been averaging 4.7 points and 2.3 assists while in Russia. Previously Baric has played for Slovenia, including in the 2011 FIBA U19 World Championships. And Last but not least Gemelos. She averaged 11 points and 7.3 rebounds a game before a season ending injury. In 2011 however she was named to the 2011 All-Pac-10 Honorable Mention selection. So the Lynx will have some work cut out for them in camp this season. They have drafted six talented athletes who could eventually make a difference on this championship team. The season is coming up soon with the first game on May 20th at home. Be sure to check out the game to see which girls make the team and to see the WNBA Champions try to repeat!